Download our whale watching brochure for 2018. 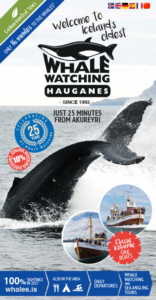 Whale Watching Hauganes is a family owned and run company, owned by the same family from the beginning. We are located in North Iceland, only 20 minutes drive north of Akureyri. We started our our scheduled tours during the summer of 1993. Most of the staff on board live in the village of Hauganes and during the winter the boats are used for fishing, mostly cod fish. The captains therefore sail in all seasons and are very experienced. 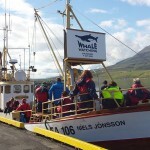 For the past few years the whales have been located in Eyjafjordur bay, only about 10-15 minutes sail from the harbour. We’ve seen whales in over 98% of our journeys since 1993 and in 2017 we saw a whale on every tour, every day. The tours usually take up to 2 – 2,5 hours in the beautiful Eyjafjordur bay in North Iceland. On the way back from whale watching our guests can grab the fishing rod and try sea angling, even the most inexperienced can catch a cod, halibut or something else the ocean might bring up. And of course you can take the catch with you, filleted and packed by our expert team. We offer overalls on board to keep you warm but we advice all our guests to dress well according to the weather. A good jacket and sweater, mittens and a hat. Please note that at sea the temperatures are a few degrees lower and as we sail there might be some wind chill. During the tours we offer complementary refreshments, coffee and home made pastries. 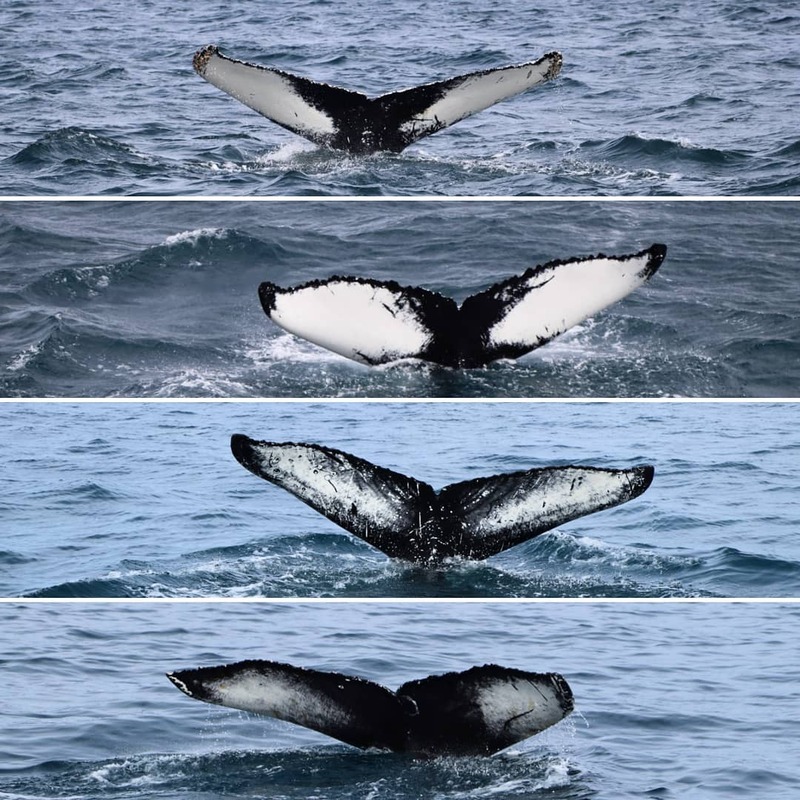 Our guides are very experienced, speak fluent English and are there to make your whale watching journey a pleasing, thrilling and memorable one.